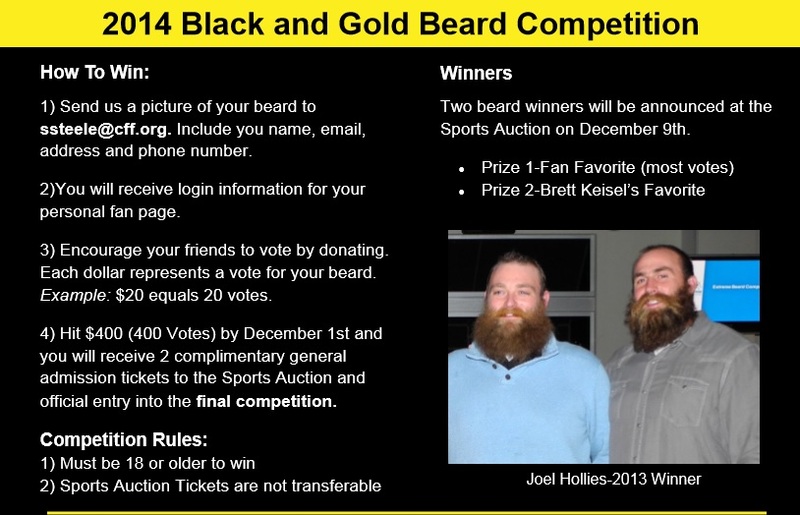 The Black and Gold Beard Competition is BACK this year. 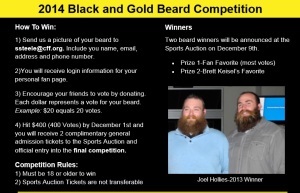 If you have a beard that rivals Da Beard, this is YOUR contest! 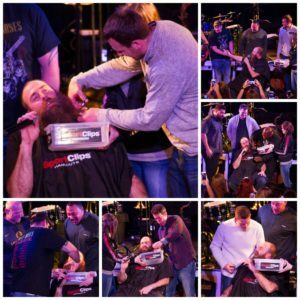 It’s a great chance to win admission to this one-of-a-kind event where you will meet Brett and many of his teammates! **Click on the photo for a closer view of the details. Brett will, once again, host the annual 65 Roses Sports Auction to benefit the Cystic Fibrosis Foundation. And, he’s added a co-host this year! Brett’s friend, and teammate, Cam Heyward will join him for the fun event. Read more on the event, and order tickets HERE.